There’s dark, and then there’s dark. Pariah, the latest from Dave Zeltserman – the sick puppy of crime fiction, says the Washington Post (sort of) – opens with Kyle Nevin’s release from prison. The South Boston gangster did his full bid, which is more than can be said for his boss, an FBI rat now in the wind. Kyle plans on tracking him down once he pulls off a kidnapping to give him operating capital. You know Zeltserman is up to no good with the page one note from Kyle to his editor. More are scattered through the text. How Kyle ended up writing the manuscript you’re reading is too twisted and too bleakly funny to spoil here. It’s been a while since I’ve read a book that genuinely disturbed me, but Pariah takes that crown. Kyle Nevin is a stone-cold predatory sociopath who never dresses up his ruthlessness. I loathed the guy. I also couldn’t stop reading about him. At least Joe Denton, the protagonist of last year’s Zeltserman scorcher Small Crimes, tried to justify his self-serving actions. Kyle can’t be bothered, which makes him either terrifyingly compelling or compellingly terrifying. After all, rationalization is what separates us from the animals. Except for dolphins. Those flippered punks rationalize constantly. And what does it get them? This movie opened at my neighborhood theater earlier this year on a Friday when I was heading out of town. I made a note to see it on my return but never had the chance; by Wednesday it was gone. It deserved better than a five-day run. A lot better. Chez K favorite Michael Keaton plays a suicidal assassin. Through a random act of kindness he crosses paths with Kelly Macdonald, a women fleeing an abusive relationship. A strange bond forms between the two over a blustery Chicago winter. Keaton, typically a bundle of energy, opts for a powerful stillness here, achieving all he needs with a flicker of his facial muscles. He’s also sporting a great look. Macdonald beguiles in a role that requires every man to fall in love with her. Using her own Scottish accent aids in that enormously. Tom Bastounes shines as a lonely detective smitten with Macdonald, and the always welcome Bobby Cannavale is a powerhouse in his scene as Macdonald’s husband, never quite apologizing for his actions while touting his newfound salvation. Most impressive of all is Keaton’s direction of the film. (The actor took over behind the camera when screenwriter Ron Lazzeretti suffered appendicitis.) The Merry Gentleman is a quiet, deliberate movie, and Keaton nails the tricky tone from the outset. He has a nice eye for composition and an unforced feel for working people; the interactions with cops and hospital staff have the texture of real life. Pair this sleeper with Blast of Silence for a Christmas hit man double-bill. Matthew Prior is in trouble. He’s been downsized from his newspaper job after the failure of his own business venture, a website offering financial advice in verse. A massive balloon payment is due on his house in a matter of days. He hasn’t told his wife about it because she’s busy preparing for an affair with her old boyfriend. Then Matt hits on a way to retain his redoubt in middle-middle class heaven. He’s going to sell primo pot to his fellow boomers. He’s even got a street name. Slippers. 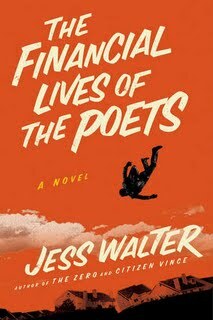 Jess Walter covers a lot of ground in this novel: the immediate effects of the economic meltdown, the slow death of old media, the perils of social networking. So determined is he to pin down every aspect of life-at-this-instant that the overstuffed plot verges on antic. But each page brings a turn of phrase or an observation about contemporary America that is electrifying, laugh-out-loud funny, or both. And there are poems. Over the course of the book, Matt learns that there are no such things as epiphanies. But damned if he doesn’t keep having them even in the midst of the most mundane activities, like ordering dinner for his sons. So I make one phone call, and just like that, we’re eating pizza at 6:30. What is this world? You tap seven abstract figures onto a piece of plastic thin as a billfold, hold that plastic device to your head, use your lungs and vocal chords to indicate more abstractions, and in thirty minutes, a guy pulls up in a 2,000-pound machine made on an island on the other side of the world, fueled by viscous liquid made from the rotting corpses of the dead organisms pulled from the desert on yet another side of the world and you give this man a few sheets of green paper representing the abstract wealth of your home nation, and he gives you a perfectly reasonable facsimile of one of the staples of the diet of a people from yet another faraway nation. It was always odd to encounter one of my teachers outside the confines of the classroom. I’d be at the mall on Saturday afternoon and run into Mr. Granding, 6th period history. The ensuing conversation would be awkward and brief. For those few moments, he’d no longer be an imposing, vaguely unknowable figure who only had to flip to the back of the book for the answers. He’d become a suburban father, one of legion, pushing a stroller, wearing an ill-fitting sports shirt and ... dude, are those sandals?!? That academic overlap of worlds public and private, adult and adolescent is the subject of Hummingbirds, the lovely debut novel by Joshua Gaylord. A new year starts at the Carmine-Casey School for Girls on Manhattan’s Upper East Side. Two seniors, one popular and one smart, warily circle each other for the last time. Meanwhile Leo Binhammer, for years the only male teacher in the English department, has to make room for an interloper with whom he will develop a complex friendship. Gaylord flits between characters with an almost-but-not-quite omniscient voice that he deploys to startling effect. The result is a novel that, like the girls at its center, is delicate yet surprisingly resilient. 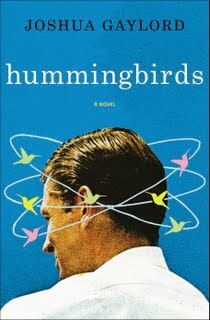 I had the chance to hear Josh read from Hummingbirds last month in New York, as well as meet his wife, Edgar Award winner Megan Abbott. A literary power couple who have written two of my favorite books this year. I’m entitled to hate them a little bit for this. While not tuned to a World Series in which I was rooting for inclement weather, that is. Poliwood. Barry Levinson’s loosely-structured “film essay” about showbiz and politics covers no new ground but does include some fascinating scenes. One shows ex-GOP pollster turned consultant Frank Luntz leading a communication seminar for members of the Creative Coalition at the 2008 Democratic National Convention. He tells the assembled actors that he admires their passion, but that if they change their language they can reach a wider audience. Several actors immediately take offense and turn it into a First Amendment issue, thus proving his point. Later, Levinson and Luntz arrange a focus group on celebrity at the RNC. One woman tears into the actors with an almost sensual relish. That the person she describes – having millions of dollars, multiple homes and no commonality with regular Americans – sounds more like John McCain than Tim Daly passes without comment. Johnny Mercer: The Dream’s On Me. I’m a Mercer fan and this documentary had me saying, “He wrote that song, too?” Factor in his singing, his role in founding Capitol Records and his work as a producer, and it’s clear that Mercer is one of the great men of the twentieth century. For the record, the other names on that list are Winston Churchill, Alfred Hitchcock, and Tom Seaver. During the mystery vs. thriller panel at Seattle Bookfest, author Robert Ferrigno said he preferred thrillers because they allowed more room to explore character. (For the record, I still think there should have been someone arguing the mystery side of this panel in the interests of fairness.) (Also for the record, I bring up Bookfest again because being cited in The Stranger’s coverage is the closest I’ve come to being enmeshed in a literary feud, and I’m enjoying that.) ( ... ) (What the hell was I talking about? Oh, right.) You’d be hard-pressed to find better proof of Ferrigno’s argument that the debut novel by Stuart Neville, published in the U.K. and elsewhere as The Twelve. 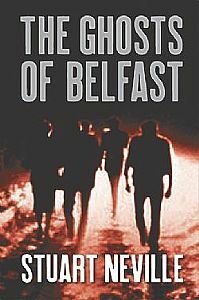 For years Gerry Fegan was one of the most feared killers at the IRA’s disposal. Now the men who ordered him to commit murder are politicians and power brokers while he downs whiskey to still the voices in his head. Only they’re not just voices. Fegan’s victims appear to him in physical form, dogging his waking hours and denying him sleep. But at long last, these damned souls are telling Fegan how to end his torment. All he must do is eliminate those who are responsible for their deaths. Neville lays out the complexities of Northern Ireland politics without ever letting the pace flag. And he fills the pages with a rich array of characters, including undercover agents and dealmakers. None are more fascinating than Fegan. He becomes even more compelling with the early revelation that he saw “shades” as a child, a risky move that lends an element of the supernatural to an already potent thriller. Here’s how much of a Peter Morgan/Michael Sheen fanboy I am. The fourth collaboration between this writer and actor, based on a novel by David Peace, got me to give a damn about soccer. (Fine, overseas readers, football. Happy now?) This after I’ve proven immune to Seattle Sounders mania, which has swept through this town like swine flu. Never have I seen an actor who more resembles the real-life figure he’s playing than Colm Meaney and Clough’s predecessor, Don Revie. I’ll say this for ... football. Failure has consequences. Lose badly enough and you’re demoted an entire division. Last year a certain Pacific Northwest team that will remain nameless became charter members of baseball’s 100/100 club, the first franchise to lose 100 regular season games with a payroll in excess of 100 million dollars. Come 2009, they still got to play the Yankees. A little fear might not be such a bad thing.